Shall We Dance, pastel painting of a couple dancing on the beach. ©Marie Marfia. 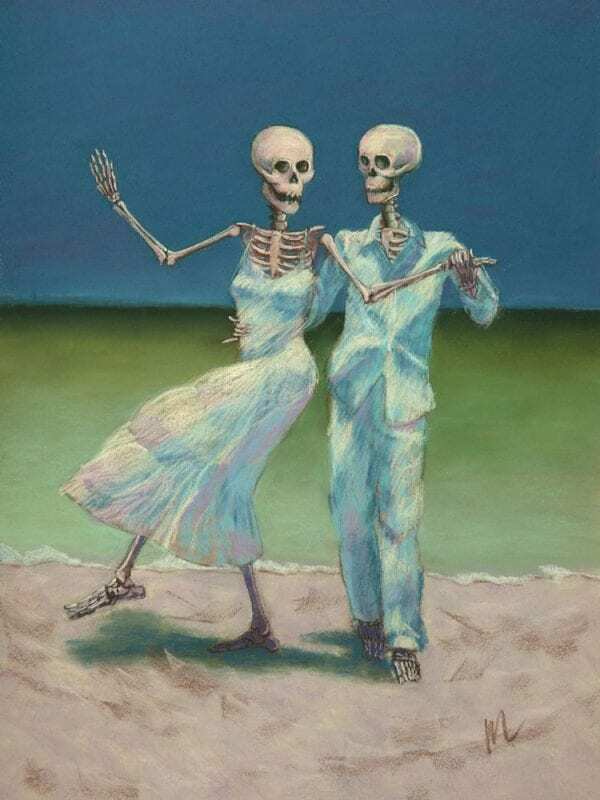 “Shall We Dance?” my pastel painting of a sweet skeleton couple dancing on the beach is on sale this week from now through Sunday, September 30, 2018. I’m celebrating National Love People Day this week and you can, too! I’ve taken 25% off all prints and cards featureing “Shall We Dance?” for this week only. Check it out! This entry was posted in A pastel a day, Pastels, Skeleton, skeletons, skelly, Skelly dancer and tagged beach, couple, dance, dancing, lake, Marie Marfia, national love people day, ocean, romantic, sand, skeleton on September 24, 2018 by Marie Marfia.